As usual, TFcon was an amazingly fun time. It's been a few weeks since TFcon and I really wanted to post about it much earlier. I was waiting for some other pictures from someone else but I haven't gotten them yet and I don't feel like waiting anymore. I do have a few pictures though so I'll just share a few highlights. 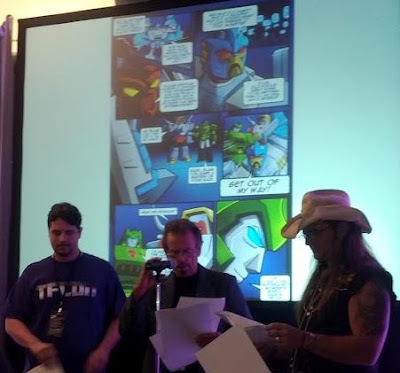 Here's Neil Ross and Scott McNeil, along with TFcon staff member and this year's script writer Phil, reading the comic prelude I drew for the script reading. A totally cool moment to hear these two pros read something that I had a hand in creating. I had to live with a part of that story for 2 months and some of those lines in the comic are things that I added or tweaked and stressed over, so hearing the whole thing come to life was awesome. People were telling me that this year's comic was the best one ever, and I think I have to agree. Before the script reading, though, was an incredible moment were Voice Director Wally Burr judged the audience auditions. 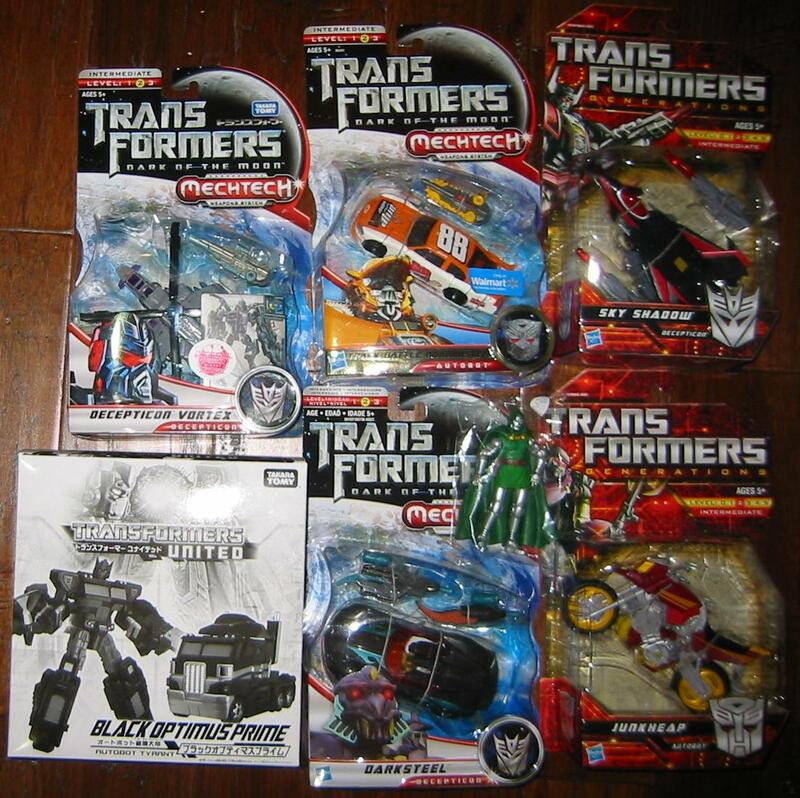 There are legends of what he subjected his actors to back in the days of the original Transformers and GI Joe series, and it's safe to say that it was all true. There was something magic in the air as Wally tortured the participants, getting them to read their line over and over with variations based on his input. It eventually got to the point where he had to be told to stop because things were running to long, but even then he couldn't help himself as he continued to pull performances out of his victims. It was an incredible moment of nervous energy, and perhaps a bit uncomfortable to watch, but it all worked out because the cast that was assembled as a result did an incredible job. Here's a video I found of the epic conclusion to the script read! Later that evening, I got to talking with Wally about the script reading and when I told him that I drew the comic, he started talking to me about art and animation and all the famous artists he had met and we must have talked for an hour or more. He even told me about an actor that worked with him who he doesn't like! I will refrain from mentioning who, but it was pretty funny. Wally is a very interesting character and he's full of great stories. I will not soon forget our conversation together. For the Faction Feud team trivia, the Ninja Consultants united again and sought revenge after our loss in the finals last year. This time, we had a coordinated uniform. Look at how awesome we are. The theme we were going for is pretty clear. Well, even with as good as we looked, we were in for a rough time! It was a debacle. The destined battle against our adversaries The Furmanisims, who defeated us in the finals last year by only one answer, was in the opening round this time. It was a destined meeting with much trash talking. However, the questions we got were so hard that both teams cycled through their entire rosters a few times without being able to answer. It had to be the worst round of Faction Feud in the history of the game. In the end, The Furmanisims sucked less than us, though they too would falter in the finals and we would combine our sorrows. The rest of the night was spent at the bar where I drank a lot of Kool-aid. Other than that, I took in as many panels that I could and spent some time in the dealer room. Compared to last year I didn't buy nearly as much, but I did get a couple of things that I really wanted and just left it at that without going too nuts. Here's what I took home. The Black Optimus Prime is what I was really after. It was an extravagant purchase, being a Japanese toy show exclusive, but I'm happy to have it. 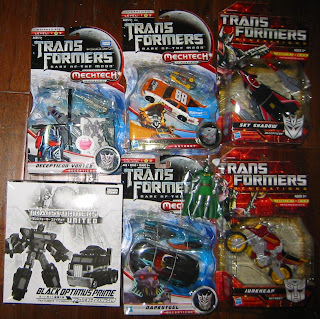 I also got Dark of the Moon Vortex (also a Japanese exclusive), Track Battle Roadbuster, Darksteel, and Generations Sky Shadow and Junkheap. On the Sunday, when the dealer room became the Collectable Toy Expo, I bought one more toy: the Marvel Universe Doctor Doom figure. 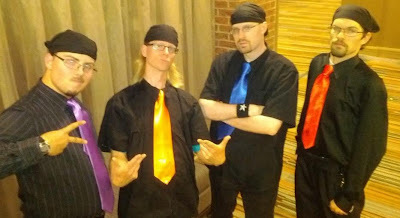 I hope to get some other pictures up from the weekend later, but if you dig around my TwitPic account you can find a few more. TFcon 2013 has just been anounced for July 26th-28th. That's a year away but it seems too long to wait. The biggest draw for TFcon isn't just the toys or the events, its the community. TFcon isn't just a toy convention, it's more like a family reunion. It's so much fun to hang out and see everybody, and even though we all have the common thread of being Transformers fans, that's a small portion of what makes the weekend so great. I'm so looking forward to next year. Let the countdown begin!